There are health benefits related to altering one's body temperature which includes the regular use of a sauna. Internal Medicine Physician Dr. Bosworth joins the show to discuss how using a sauna can have positive health impacts and the proper duration to engage in this activity. Recent protests in France have brought attention to social inequality inside the country and the public's disappointment with French President Emmanuel Macron. 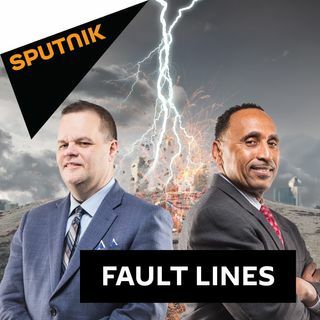 Writer and geopolitical analyst Stephen Lendman joins Fault Lines to discuss the evolving situation in France and some of the foreign policy goals of the US government as we move into 2019. The Guardian's reputation has taken a major hit following its discredited report about Julian Assange and Paul Manafort. Elizabeth Vos, Co-Founder & Editor-in-Chief of Disobedient Media, returns to the program to break down this story and to talk about The Guardian's shoddy reporter, Luke Harding.